This important academic encounter is taking place from August 20-24 with the participation of 2,600 students and 300 counselors, teachers and directors from 77 academies from 22 states within Mexico, as well as international guest speakers. 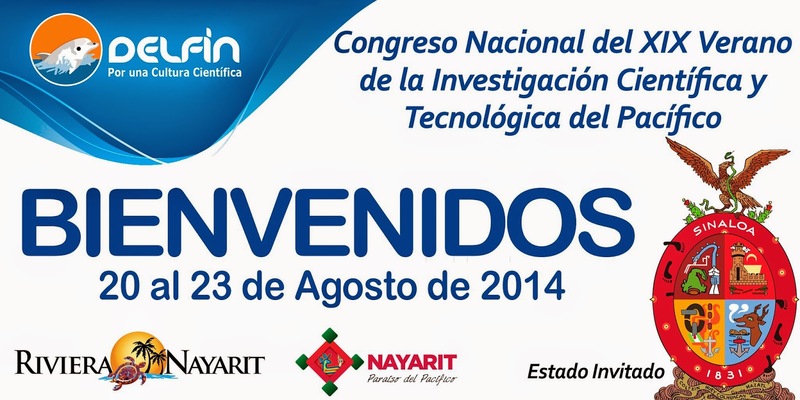 The Riviera Nayarit proves once again that it is a favorite host city for the scientific community as it prepares to receive the XIX National Pacific Summer Conference on Scientific and Technological Research, part of the Inter-Organization Program for the Enhancement of the Investigation and Post Graduate Studies of the Pacific, known locally as the Dolphin Program. The event will take place from August 20-24 at the Hotel RIU Jalisco in Flamingos. This is the final phase of a six-week program that encompasses the Pacific Summer Conference on Scientific and Technological Research, where students will present 1,824 projects for analysis. Mr. Aleksandr Kurushev, president of the international organization ESTYES and coordinator for the Non-Formal European-Chinese Education Academy; Ho Chol Choi, Director of the Korean University; and other top representatives of institutions of higher learning from Colombia, Panama and Mexico will also be present at the event. Guillermina Urbano Vidales, Director of the Superación Académica de la Dirección General de Educación Superior Universitaria de la Subsecretaría de Educación Superior, was also at the inaugural event. Artistic and cultural events took place along with the academic activities, with Sinaloa invited as the guest state. There will also be a 5K run held with the participation of 400 students in order to promote the integration of the student body. “I think even the tourism sector sees this event as just another conference, but the truth is it has turned into a niche with a lot of potential for the Riviera Nayarit,” said the M.V.Z. Carlos Humberto Jiménez González. Integra Destinos y Convenciones, the company responsible for the organization of the event with the full support of the Convention and Visitors Office (CVB), stated that thanks to this conference—already held in the Riviera Nayarit over 10 times—the infrastructure of the destination has been promoted throughout the world of academia, which can potentially signal even more conferences in the future.